Please join the Hon. 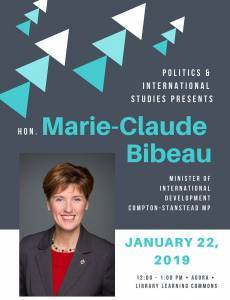 Marie-Claude Bibeau for a public lecture on her work as a Member of Parliament (Compton-Stanstead) and Minister of International Development. Q&A to follow. All welcome!